A health care proposal from Amazon, Berkshire Hathaway and JPMorgan Chase could ultimately have patients using the Alexa voice assistant to discuss their symptoms. The fledgling plan from Amazon, Berkshire Hathaway and JPMorgan Chase to create an independent health care system for their American employees is just as bare-bones as it is bold. The companies, all titans in their respective industries, gave few details Tuesday when they announced the joint effort. The group said its strategy will focus first on technology as a way to provide simplified, affordable access to medical services. Beyond that, here are some ideas from health care and medical experts about how the world’s largest online retailer, the largest bank in the United States by assets and the billionaire investor Warren E. Buffett’s holding company might reshape an industry. "Amazon could assume drug distribution. 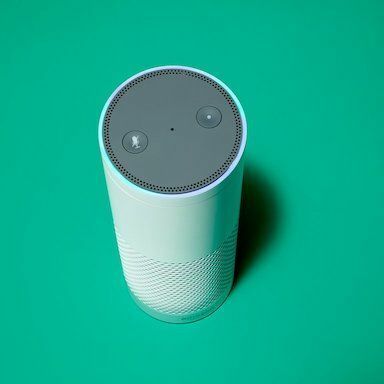 They could start to use voice platforms, like Alexa, to help discuss symptoms and get feedback, to coordinate hospital post-op care through voice-activated A.I., to do these and other rote things." "Maybe they will develop some kind of algorithm that can be loaded onto any company software to help employers identify the low-hanging fruit, the patients that are using the most care or the highest-cost drugs. These guys have the data resources to really mine what’s going on, to get in the middle of that patient-doctor relationship. But employees are going to have to sign off on letting their employers really dig into that data." "The companies have a wealthier work force, which tends to have a higher demand for broad networks. And these people are financially very sophisticated in how they do things, so they may be willing to have more complicated benefit design, and more willing to use I.T. tools to shop for care. I hope they work on building value-based insurance design plans, aligning incentives with the value of care." "Most health care is local, even though people occasionally seek care away from home. So the opportunity is in leveraging telecommunications technology, in taking advantage of internet-based services that can be delivered to you everywhere, which is a movement already growing rapidly throughout health care." "With the technology that’s available today, it seems like a logical next step for self-insured companies to administer the health benefit themselves. You could develop a relationship where you’re significantly reducing costs, while still making the providers whole and cutting out so much of the red tape and bureaucracy that currently stymies and frustrates them. The providers’ masters are largely those intermediaries — the health plans, the pharmacy benefit managers. This is a way for companies like Amazon to be the new masters." "You can imagine them using a different sort of model, where everyone gets a concierge to help them with their health care, to have a primary care doctor be an independent advocate that helps patients navigate the system, not as an agent of the hospital where they have to feed the beast. And then if you need lab tests, an M.R.I., an elective service in the hospital, you would have a health savings account and a marketplace with transparent pricing. And then, if something really bad happens — you get leukemia, you get hit by a bus — the high-deductible insurance kicks in. That’s the way the market is moving anyway, so I bet this is where these companies are likely going." A version of this article appears in print on January 31, 2018, on Page A18 of the New York edition with the headline: ‘Alexa, I Have Ideas For You’.